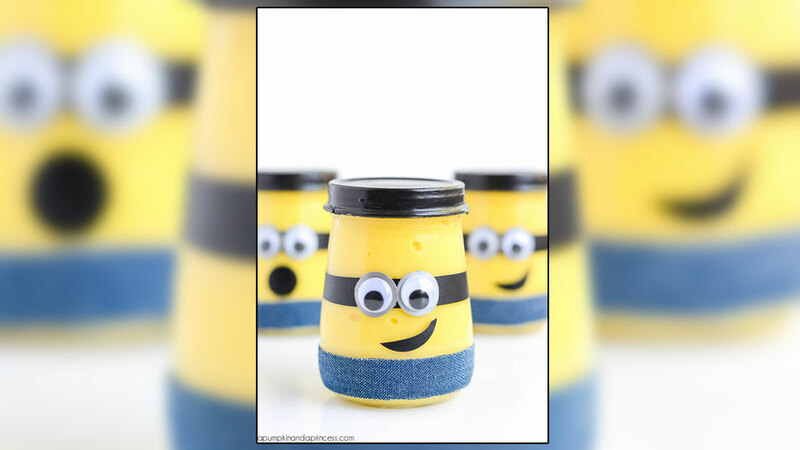 Who could have predicted Minions Mania? 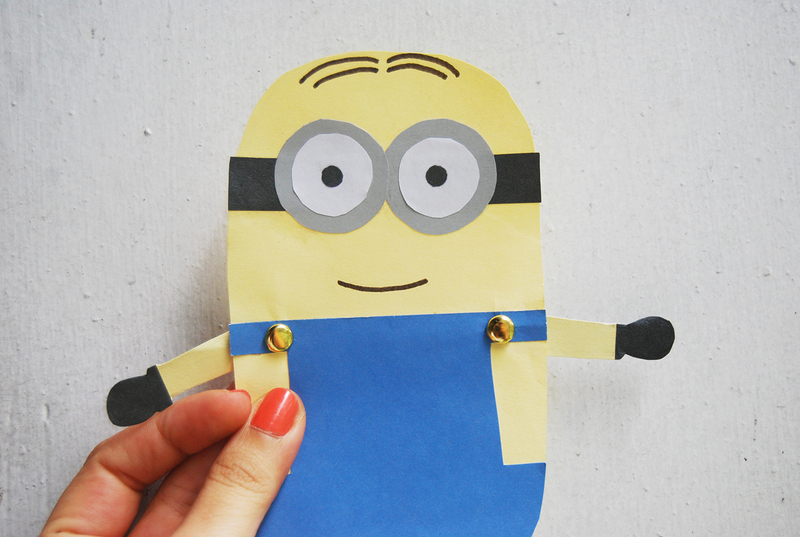 Kids and grownups everywhere are totally obsessed with the cute little evildoers. 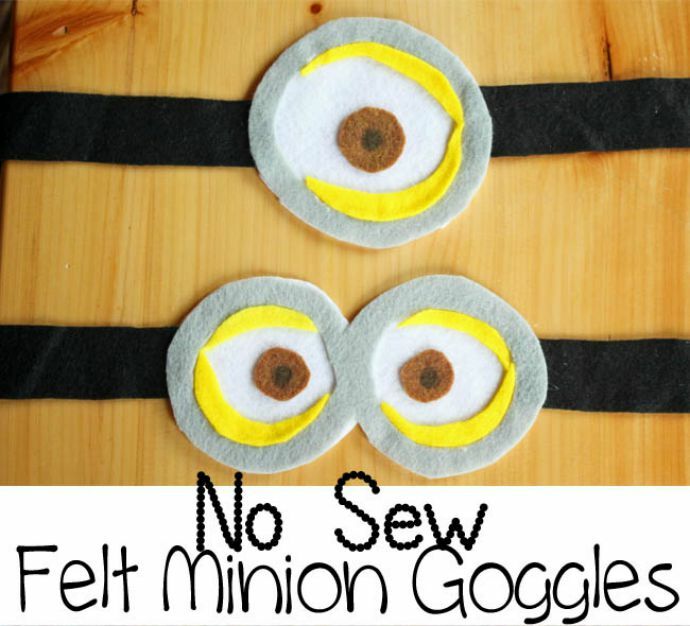 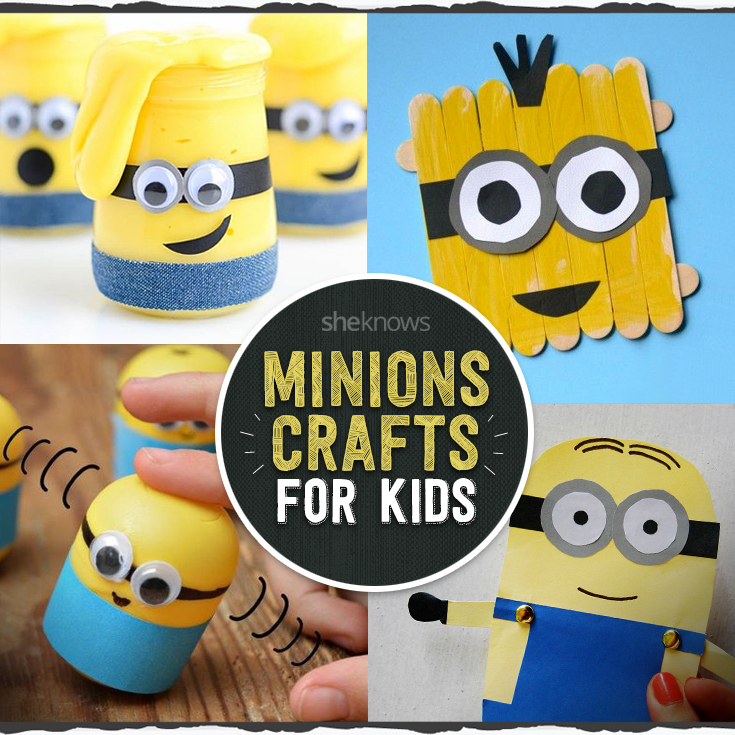 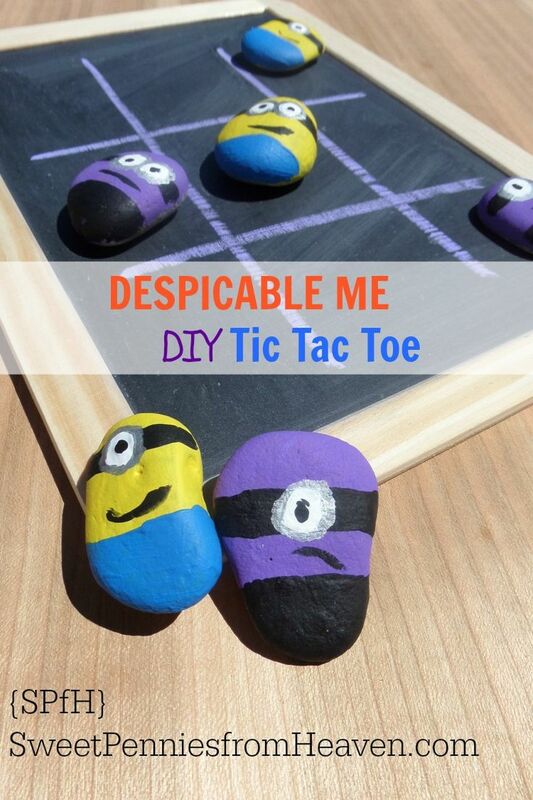 If your kids love the roly-poly Kevin, Dave and Stuart, then they will get a huge kick out of these awesome Minion crafts. 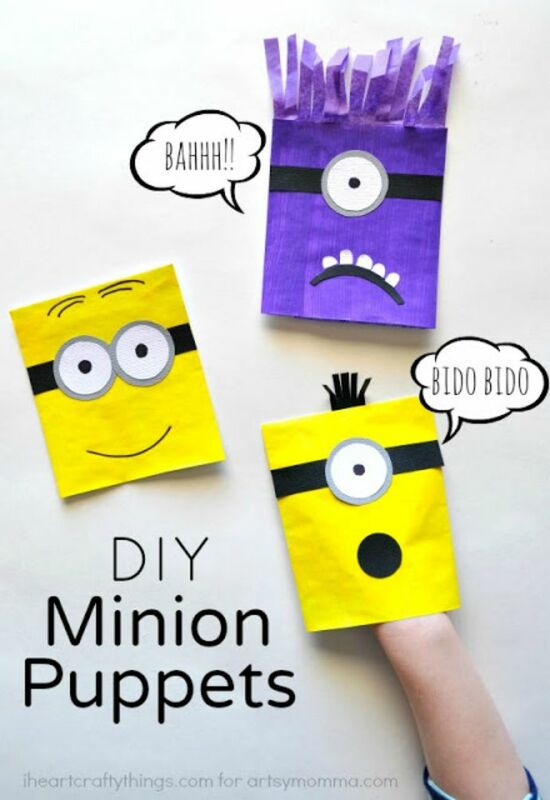 Who doesn’t love to put on a puppet show? 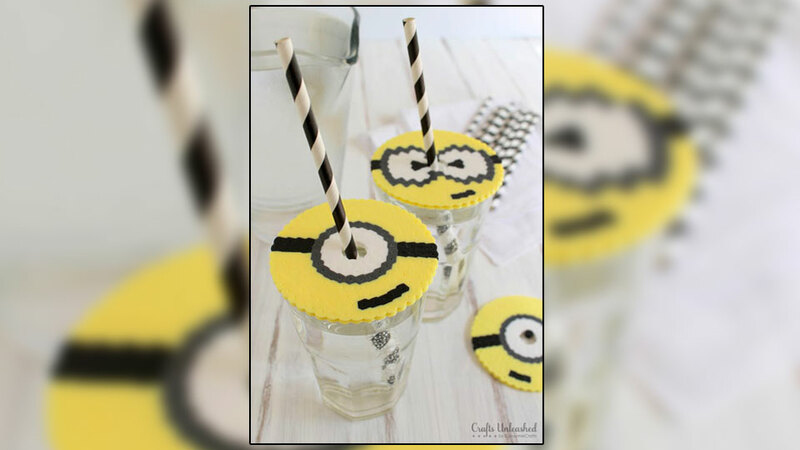 These Minion cup covers are so adorable and a great reason to bring out the Perler beads. 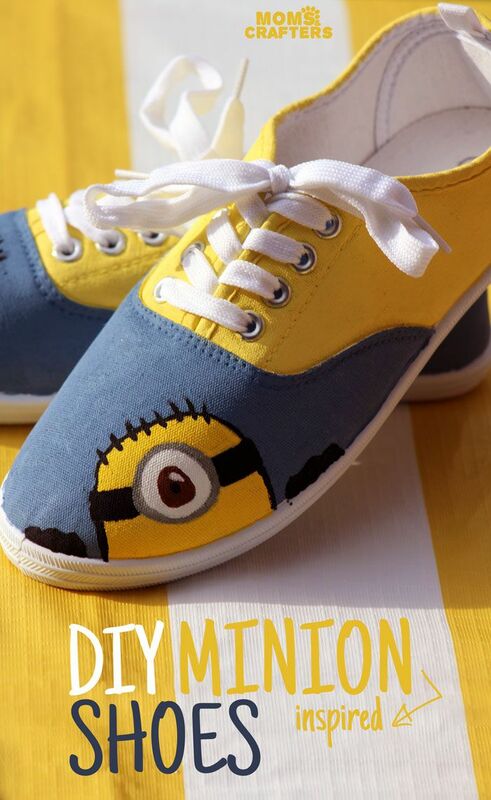 These sweet Minion kicks are a great project for older kids. 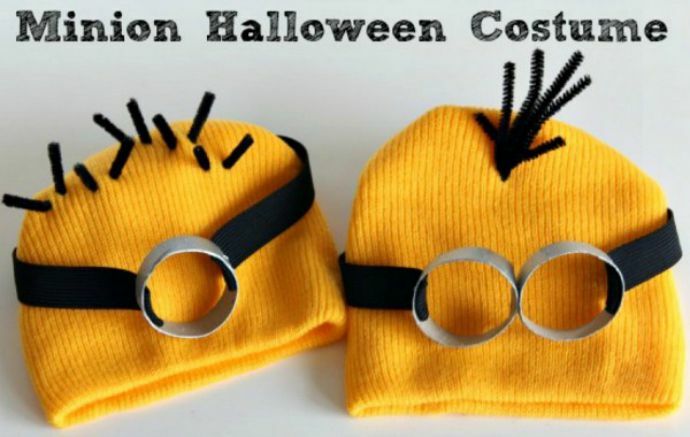 These cute hats are perfect for a last-minute Minion costume. 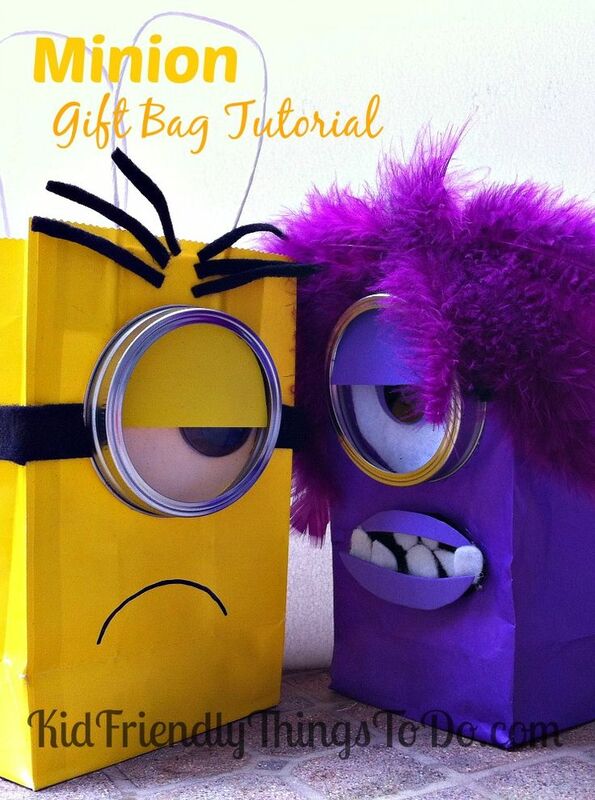 These Minion gift bags are a great craft to make, even if you don’t have a party to attend. 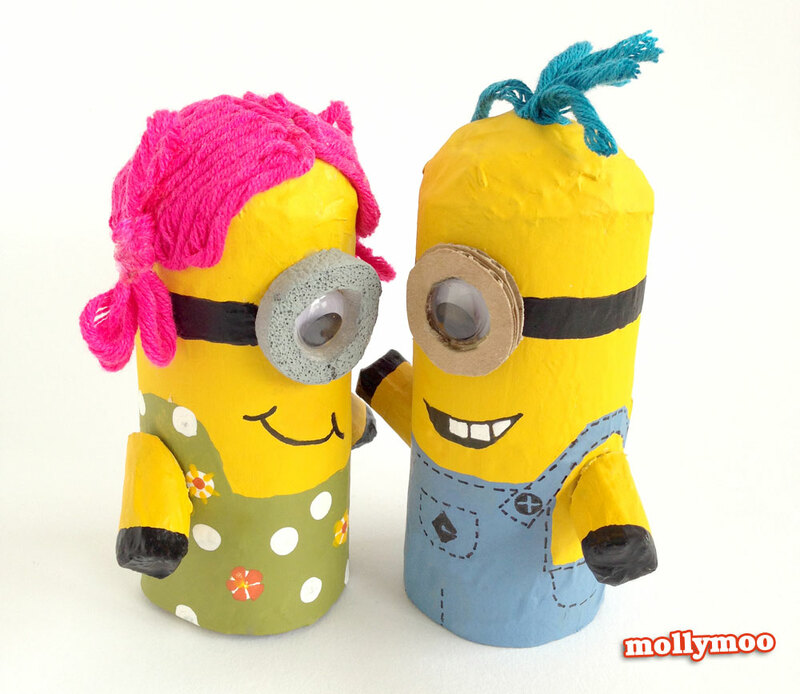 These Minion Weebles are so fun! 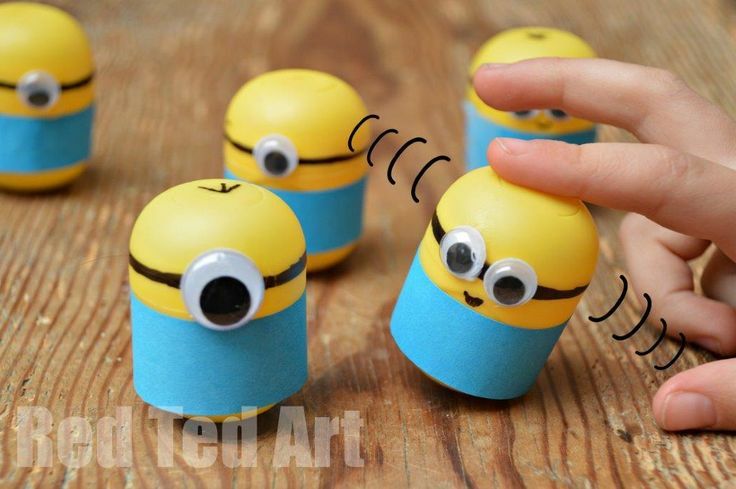 If you can’t get Kinder Surprise, try using plastic eggs. 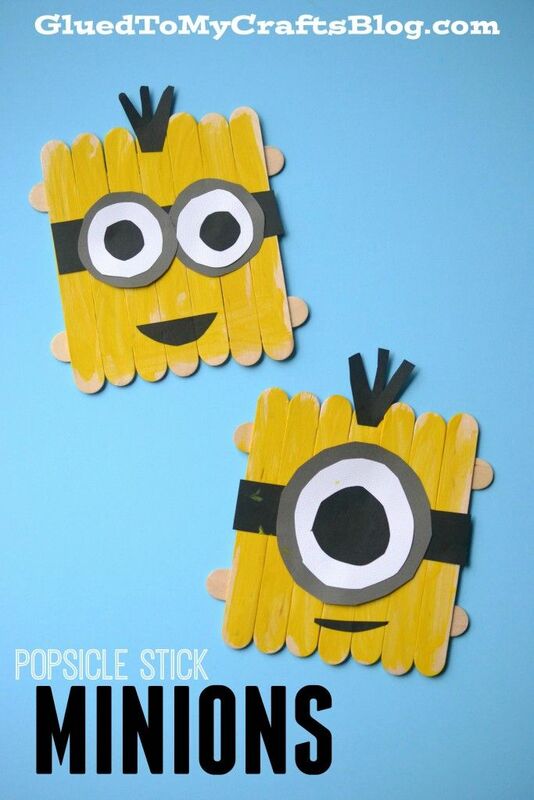 Whether you’re prepping a pinata for a party or just going Minion crazy, these are a great way to spend an afternoon.